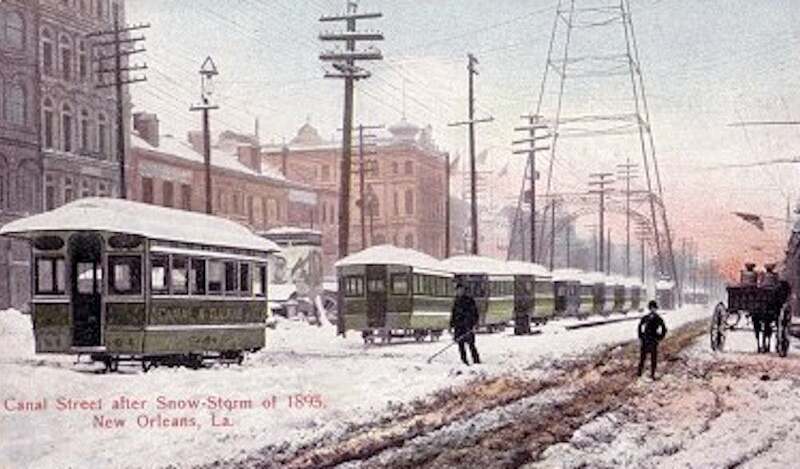 Above: A postcard depiction of New Orleans during the snowstorm that deposited a phenomenal 8" - 10" on Feb. 14-15, 1895. Image credit: Wayne Everard, New Orleans City Archives, via Digital Snow Museum. In Part 2 of my blog series concerning the most anomalous weather events in U.S. history, I conclude with six events that occurred prior to 1944. 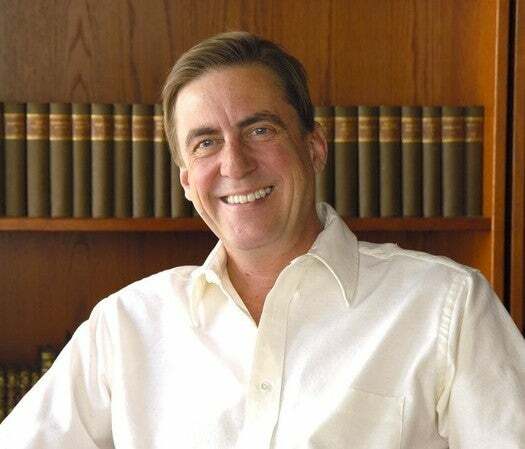 Part 1, which focused on more recent events, was published on October 20. One of the strangest weather events in U.S. history took place in the Black Hills region of western South Dakota on January 23, 1943, after an inversion formed over the area, trapping cold air in the valleys of the Black Hills. Strong but erratic surface winds scoured the cold air temporarily out of the valleys, resulting in a battle between the cold and warm air over the course of the day. This resulted in some extraordinary swings in temperature, the most extreme of such being a 49°F rise of temperature in just two minutes in Spearfish between 7:30 am and 7:32 am. By 9:00 am, the temperature had risen gradually to 54°F, when it suddenly dropped again to -4°F just 27 minutes later. Figure 1. The U.S. 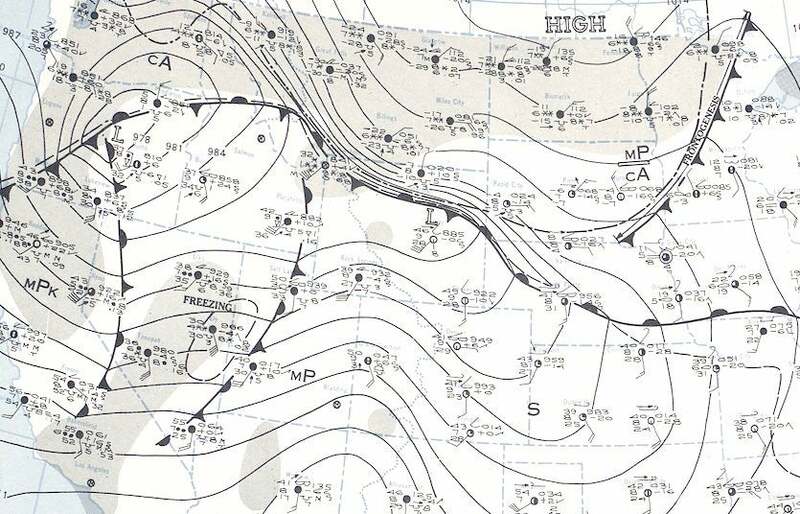 Weather Bureau's Daily Weather Map for January 22, 1943, at 1:30 am Eastern time, just hours prior to when the extreme temperature fluctuations commenced in the Black Hills of South Dakota. The stationary front pictured here drifted slowly northeastward over western South Dakota as the day progressed, bringing much warmer air with it, and then stalled over the Black Hills. Note how at this hour the temperature in Sheridan, Wyoming was -7° while 150 miles south in Caspar the temperature stood at 46°. Image credit: NOAA Daily Weather Maps archives. The town of Lead, also in the Black Hills, experienced such a shocking change of temperature that plate-glass windows reportedly cracked. At one point, the town of Deadwood (in a canyon 600 feet lower than Lead, but only two miles away) had a temperature of -16°F while at the same time it was 52°F in Lead! Wind gusts of 40-50 mph were whipping through the region. Motorists had to pull off the roads, as their windshields would suddenly frost over as they drove from a warm pocket to a cold one. Figure 2. 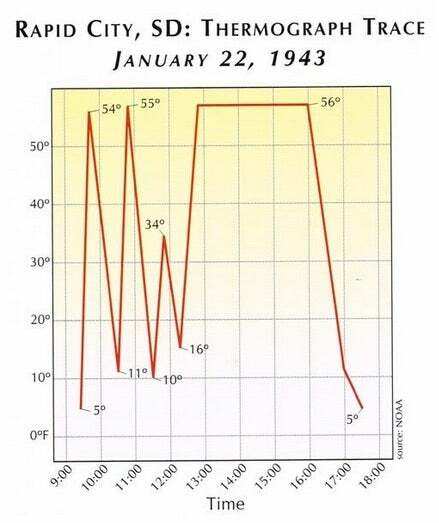 Temperature fluctuations in Rapid City, South Dakota from 9:00 am to 6:00 pm Mountain time on January 22, 1943. Data from Monthly Weather Review, March 1943; graphic produced by Mark Stroud of Moon Street Cartography. Rapid City, in the foothills east of the Black Hills, also experienced shocking changes of temperature as measured in the thermograph trace at the downtown U.S. Weather Bureau (USWB) weather office. Needless to say, the temperature excursions in the Black Hills that day are the most extreme observed and measured anywhere in the U.S., and perhaps the world, in terms of multiple rapid changes over short periods. It’s curious that something like this has not since occurred again, at least to this degree, anywhere in the U.S., marking this event as one of the most anomalous in U.S. weather history. The March 1943 issue of Monthly Weather Review includes a complete summary of the extraordinary event. No year in U.S. weather records was more extreme temperature-wise than that of 1936. Nationally February was the coldest such on record and July the hottest such (since at least 1895). Both those records stand today, more than 80 years later. The summer of 1936 (June-August) remains the warmest in U.S. records, and the winter of 1935-1936 (December-February) is still the coldest winter on record for the northern Plains states and second-coldest winter for the entire contiguous U.S. Nowhere were the extremes more pronounced than in the Dakotas. In North Dakota the state’s all-time coldest temperature of -60° was observed at Parshall on February 15 while its hottest reading on record, 121°F, occurred on July 6 in Steele. Likewise, South Dakota went from a state all-time low of -58° at McIntosh on February 17 to an all-time high of 120° at Gannvalley on July 5 (the latter record has since been tied). Figure 3. 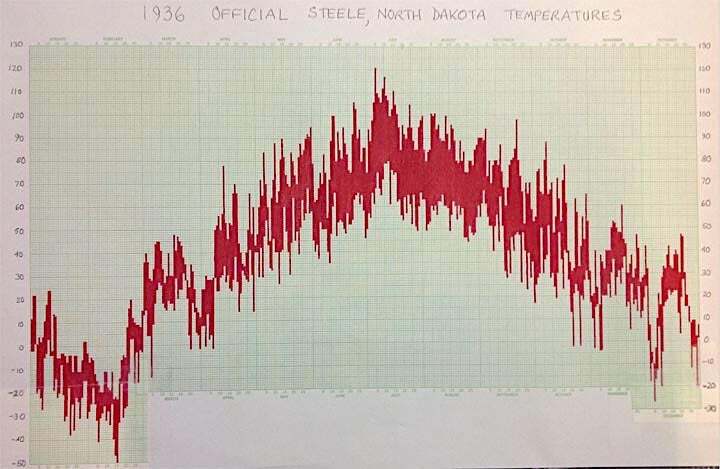 A graph of the daily temperature extremes at Steele, North Dakota for the year of 1936. The 171° spread from -50° in February to 121° in July is just short of the most extreme for any location in the U.S. over the course of a single year: Parshall, North Dakota saw a 172° spread (from -60° to 112°) as did McIntosh, South Dakota (-58° to 114°) in 1936. The only other locations in the world that may have experienced even a greater range in annual temperature extremes may be places in Siberia’s ‘pole of cold’ region, where winter temps of -80° and summer temps of 90° are fairly common (although I’m not sure if such have ever happened in the same year). Image credit: Richard Berler, Chief Meteorologist, KGNS-TV, Laredo, Texas. What was also extraordinary for both the cold waves and heat waves of 1936 were how persistent they were. Langdon, North Dakota, was the epicenter of the cold: it remained below freezing (day and night) for 92 consecutive days, from November 30 through February 29, and below 0° for 41 consecutive days, January 11 though February 20. The latter was a record for any location in the contiguous U.S. Langdon’s warmest February temperature was a frigid 15° (Bismarck’s was just 23°) and the hamlet of Amenia managed a monthly high of only 10° during January (another contiguous national record for coldest monthly maximum). Turtle Lake, also in North Dakota, averaged -19.4° for the month of February, the coldest monthly mean in U.S. records outside of Alaska. Just a short five months later the hottest summer and most intense heat wave(s) on record engulfed much of the U.S., with the Dakotas yet again at the epicenter of the most extreme temperature anomalies. For an in-depth look at the amazing summer of 1936, see my blog entry posted just this past August. Figures 4 and 5. Maps of the average temperature departure from normal for the contiguous U.S. during the months of February 1936 (coldest February on record) and July 1936 (hottest July on record). 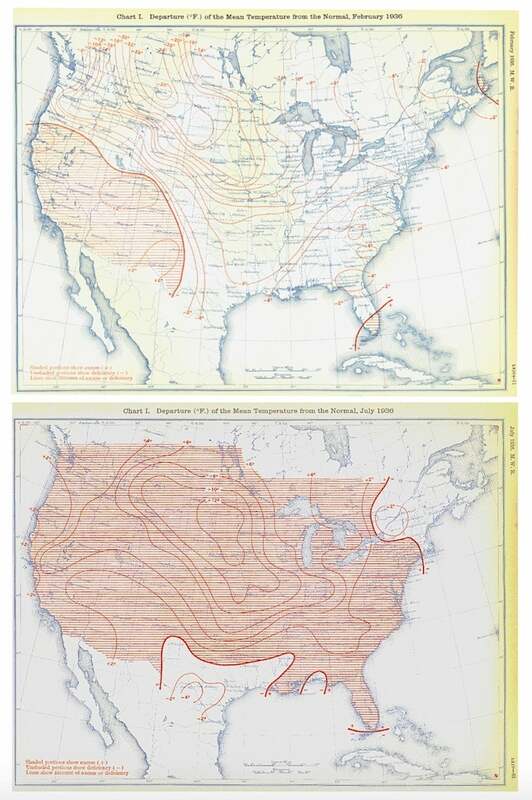 Image credit: Monthly Weather Review, July 1936 and February 1936. We can now add, some 123 years later, that nothing comparable to this event has yet to manifest itself again. In the town of Rayne, near Lafayette and only 35 miles from the Gulf Coast, the 24” of snow (as measured on level ground—so the actual snowfall amount was likely higher) remains the greatest snow depth ever reported in either Texas or Louisiana. Lake Charles received 22”, Baton Rouge 12”, and New Orleans 8” to 10”, in each case their greatest snowfalls on record. In Texas the event was, if possible, even more anomalous. 20” of snow on level was measured in Houston, 15.4” in Galveston at tidewater, 18” at Brazoria near the coast 50 miles southwest of Galveston, and 5.0”-6.0” at Brownsville on the Gulf Coast border with Mexico. Snow flurries were even reported in Tampico, Mexico, located at a latitude of 22.18° N (actually below the Tropic of Cancer) 250 miles south of Brownsville and right on the Gulf Coast. This remains the most southerly sea-level snowfall ever observed in the Western Hemisphere. Figure 6. 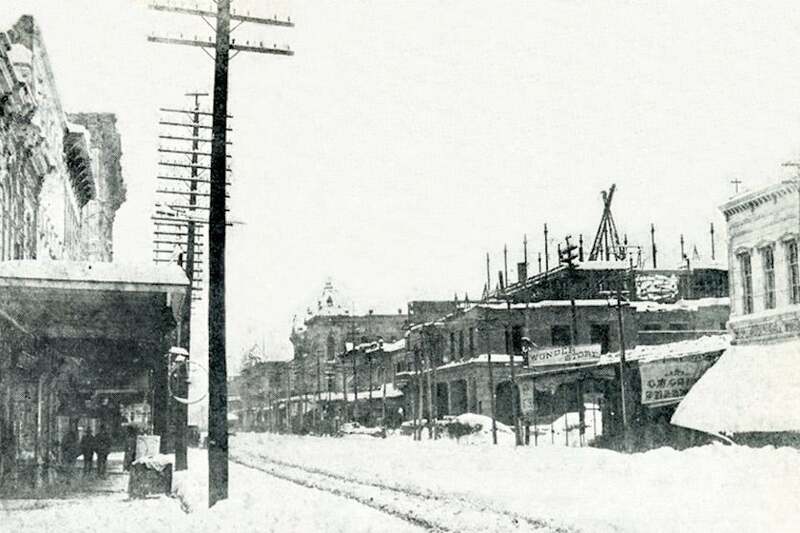 Houston’s Main Street buried under 20” of snow on February 14, 1895. The snow remained on the ground for 10 days in shady areas. The greatest snowfall in modern records for the city has been a mere 4.4” on February 12, 1960. The website Space City Weather has a superb writeup on the 1895 storm, penned by Matt Lanza. Image credit: University of Houston Digital Archives/NWS Houston, via Space City Weather. Other snow totals from Texas reported in the USWB Monthly Bulletin of the Texas Weather Service included: 20” at Columbia, Orange, and Stafford, and 12.0” at Victoria. The heaviest snowfall was confined mostly to the coastal regions, as evidenced by accumulations of only 2.0” in Laredo and 3.5” in College Station. The USWB bulletin does not mention how much snow fell in Corpus Christi, but .43” of liquid precipitation fell on February 14 with a max/min temperature range of 30°/26. If we assume a typical snow-to-liquid ratio of around 10 to 1, then roughly 4” to 5” fell there—which may have been the city’s greatest snowfall on record: 5.0” accumulated on January 28-29, 1897. Heavy snowfall progressed east along the Gulf Coast through western Florida into the next day, February 15. The USWB Monthly Report of the Mississippi Weather Service mentioned “many stations reporting it the heaviest fall to be known for a long number of years”. No specific totals were mentioned but the melted precipitation totals of .62” at Biloxi and .80” at Moss Point with below-freezing temperatures on February 15 indicate that perhaps as much as 8” accumulated along the coastal areas. In Alabama, the Alabama Weather Review mentioned that the storm on February 15 deposited “a few inches in the southern portions of the state to a foot deep in the northern portions”. This would indicate that the low-pressure system in the Gulf of Mexico responsible for the storm tracked northeastward and thus the heaviest snow pushed northward by the time it reached Alabama. That being said, virtually all the stations in Florida from the Panhandle to Jacksonville reported snowfall. Two inches of snow was measured in Tallahassee before the snow changed to rain, according to the USWB Report of the Florida Weather Service. The same report mentioned that “snow fell in Tampa” and “according to newspaper reports the snow in Pensacola was deep enough to permit the people of that city to ride in sleighs.” In Georgia, 5” of snow fell in Albany (which would surpass its modern record of 3.0” observed on February 10, 1973). Five inches was also measured at Darien, near the Atlantic Coast south of Savannah (see the USWB Georgia report for details). California’s most extensive flood in modern records inundated the entire Central Valley after a seemingly never-ending series of powerful Pacific storms that began in late December 1861 and continued with few breaks until early February 1862. 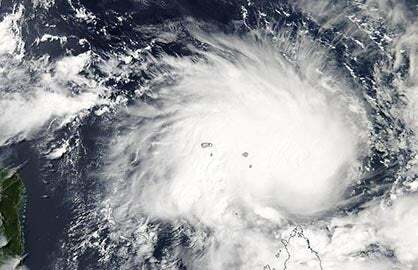 The storms were anomalous not just for their intensity and persistence but also because of the unusual temperature patterns that accompanied them. The first rain of the 1861-1862 season occurred on November 10, according to San Francisco records. By the end of November 4.10” of rain had fallen, well above the average of 3.20”. The first half of December brought an additional 3.27”—and then the rains began in earnest on December 23. From that point to January 22, an astonishing 29.28” of rain was measured in the city. Keep in mind that the average annual rainfall in downtown San Francisco is just 23.65”! An additional 1.35” fell the last of week of January resulting in a calendar month total of 24.36” in January (the wettest month on record) and a 33.90” total for December-January. February went on to produce another 7.53”, mostly in the first week of the month. Sacramento measured 23.68” during the two-month period of December-January (annual average is 19.87”) and in San Diego 8.76” of rain fell (annual average 10.77”). Estimates of up to 35” of rain were reported from the Los Angeles area (annual average 15.14” at downtown). In the Sierra Nevada foothills, truly extraordinary amounts of precipitation were reported, including 102” of rain and melted snow in the mining town of Sonora over the two-month December-January period. Figure 7. 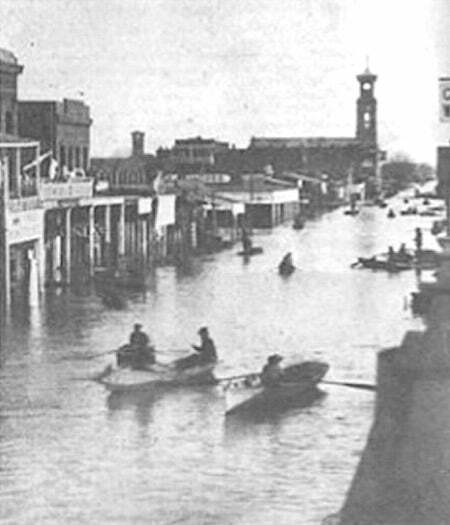 Downtown Sacramento at the height of the flood in January 1862. Image credit: Bancroft Library collection, University of California, Berkeley. Flooding that had begun during the December deluges increased in scope and intensity throughout January. Eventually, by mid-January, the capital city of Sacramento was inundated by ten feet of water, forcing the new governor to travel to his inauguration in a rowboat. It is unclear how many lives were lost. The New York Times published rumors emanating from San Francisco’s Chinatown that 1000 Chinese miners and other laborers perished in the vicinity of Yuba when their makeshift town on a bar of the Yuba River was washed away. One strange meteorological aspect of the event was the wild swings of temperature that occurred during both December and January. Although the only actual temperature record we have was from a resident of San Francisco (Thomas Tennent), we know from the constant accumulation and subsequent melting of the Sierra snowpack that some of the storms were very warm and some very cold. Snow melted during some storms at altitudes as high as 8000 feet, and yet snow fell at near sea level in Sacramento during other storms (0.75” of snow was actually reported in Sacramento itself on January 29). In San Francisco, Mr. Tennent recorded nine days with below-freezing temperatures in January alone, including a 22° reading on January 28, a full 5° colder than any temperature ever measured in the modern era of the city. Record cold weather in the Bay Area has historically been associated with dry weather. Massive runoff from the mountains during the warm storms filled the Sacramento and San Joaquin Valleys from the foothills of the Sierra in the east to the coastal hills in the west. A giant lake 250-300 miles long and 20 miles wide formed, flooding some 5,000-6,000 square miles of what is now some of the most valuable agricultural land in the world and home to about 2 million people. Although El Niño winters tend to be wetter than normal across California, the 1861-1862 event may not have occurred during an El Niño year, according to research done at Oregon State University by climatologists Victor Neal and William Quin. Their analysis indicates a polar jet swept down to central California in December and then fluctuated north and south over the Pacific Northwest (and California) for a two-month period interacting with a persistent Alaskan low that bowled one storm after another into California. Nevertheless, one must assume, given the prodigious rainfall amounts, that a subtropical stream of moisture must have been entrained into at least some of these systems, manifested as one or more “atmospheric rivers”. Regardless, California has not experienced such a similarly persistent weather pattern since 1862. In 2011 I wrote about a major USGS study called ARkStorm, which evaluated the potential havoc that could result if a winter pattern similar to that of 1861-1862 were to recur today. “The wind that day [February 13] had been from the N.E. accompanied with snow, with a temperature of from 15 to 20 degrees above zero. At 6 pm the wind had increased to a heavy gale, and at 7 pm ceased to blow, and flashes of vivid lightning commenced. In a few minutes more thunder was heard in the N.W., and at 8:30 pm the scene was grand and awful beyond description. The lightning was of a purple color, and sometimes appeared like balls of fire, coming through windows and doors and down chimneys, while the houses trembled and shook to their very foundations…. “A great many people were slightly injured. Some were struck in the feet; some in the eye while others were electrized [sic], some powerfully and some slightly. But what was very singular, not a person was killed or seriously injured, nor a building damaged; but a cluster of trees within a few rods of two dwelling houses was not thus fortunate. The electric fluid came down among them, taking them out by the roots, with stones and earth, and throwing all in every direction. Some were left hanging by their roots from the tops of adjacent standing trees—roots up, tops down. Figure 8. 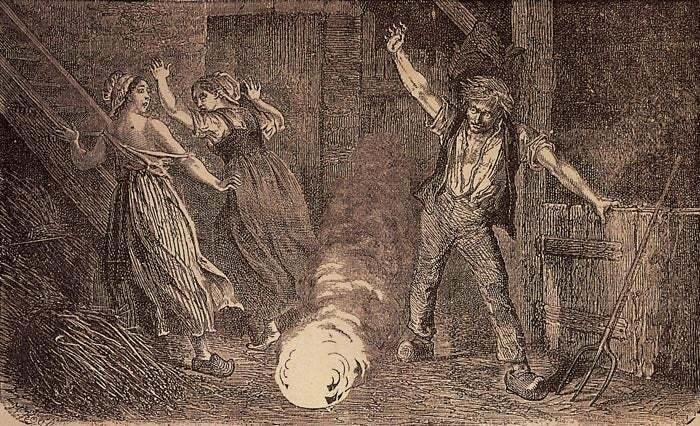 A fanciful 19th-century lithograph illustrates ball lightning terrorizing folks in a barn. Image from the book Thunder and Lightning, by W. (Wilfrid) De Fonvielle, (Scribners, New York, 1871). There is no question that a ferocious blizzard accompanied by intense lightning affected much of Down East Maine that night. Seven inches of snow fell in Ellsworth, and inhabitants there noted “exceedingly vivid lightning” unlike anything they had ever witnessed. 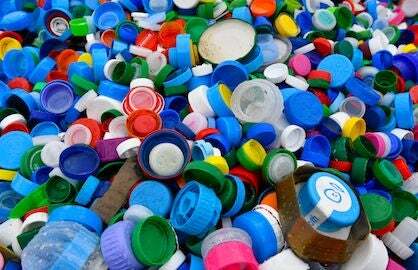 It is hard to conceive of such a hoax being perpetrated by an entire island’s population. 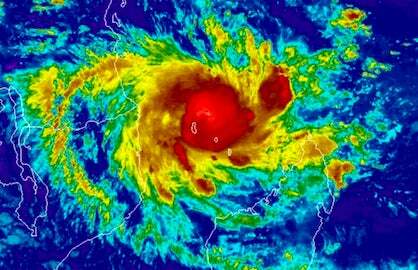 Unfortunately, we have no photographic evidence to confirm the impacts described, and there are no official weather observations from the area at this early date. You can read more about this event in Weatherwise Magazine, Vol. 29, No. 2 (April 1976), pp. 84-85. Ball lightning is still a mysterious phenomenon being actively researched. One fascinating study in 2010 found that the experience of seeing ball lightning may at least in some cases be a hallucination induced by the magnetic fields associated with “regular” lightning. The first scientific confirmation of ball lightning was made in 2014. One of the most iconic and anomalous weather events in U.S. history was the so-called “Year Without a Summer” of 1816. The cause of this event is well known: a massive volcanic eruption of Mt. Tambora on Sumbawa Island, Indonesia, culminating on April 10, 1815. This was the greatest volcanic eruption on Earth of at least the past 1700 years at the time (and since). The eruption adversely affected the global climate for years. Among other events, it led to near-famine conditions in Ireland and abnormally cool summers across much of the Northern Hemisphere. The summer of 1816 was the coolest, when it is estimated that the global mean temperature cooled 0.70° to 1.3°F below the average for that decade. Figure 9. The weather data for Waltham, Massachusetts in June 1816 as recorded by an anonymous local resident. Note that the temperature reached the 90°s both prior and following the cold wave and snow event of June 6-8. Image credit: Early American Winters Vol. 1: 1604-1820, by David M. Ludlum (American Meteorological Society, Boston, 1966), p.193. In the U.S. this was manifested most notably by a cold and snowy spring and summer in (at least) New England and eastern Canada, hence the Year without a Summer moniker. On June 6, accumulating snow was observed as far south as the Catskills in New York (where one inch was reported) and the highlands of central and northwest Pennsylvania. Snowflakes were seen at sea level as far south as ten miles north of tidewater on the Hudson River above New York City. A heavier snow event followed on the night of June 7-8, with the deepest accumulations reported in the mountains of Vermont where drifts of 12-18” were observed. Quebec City in Canada reported 12” on level with drifts up to two feet deep. Scattered frosts continued through July and August, ruining many farmers’ crops. It should be noted, however, that this event may have been a bit exaggerated in terms of it truly being a “year without summer.” A citizen observer in Waltham, Massachusetts, noted in his weather diary that he witnessed some snow on June 6-8 and a temperature as low as 33° at sunrise on the 10, but by June 23 and 24 the temperature peaked at 99° and 98° respectively, which would be unusual heat for any year at this location assuming the gentleman’s thermometer was accurate. June snowfall has occurred in the eastern U.S. on other occasions as well. On June 11, 1842, widespread snow fell over northern New York and New England and snowflakes were observed in Cleveland, Ohio; Boston, Massachusetts; and even Harrisburg, Pennsylvania (a low-elevation site within the state). Accumulations of 10” to 12” were common in Vermont, so this event was actually more extreme than the more famous snow of June 1816. Nevertheless, the event of 1816 remains iconic in the annals of American history and was part of a global phenomenon rather than a regional anomaly.